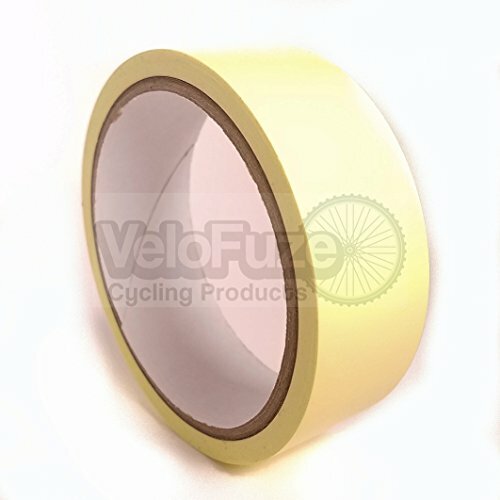 VeloFuze 30mm x 11 meter Tubeless Rim Tape. Enough Tape for up to 6 wheels. Tensilized for added strength and will not leave any messy residue when removed. Directions for Installation: Pull tape Firmly, start several inches right of valve stem and install tape opposite direction the wheel rotates. Overlap tape over valve stem and cut several inches just left of stem. Correct installation will result in a ultra-strong durable air tight seal. Use 2 layers for tire pressures above 80 PSI. For use on both, Road, Cyclocross and Mountain bike tubeless systems as well as a light weight rim tape. 30mm x 11meter rolls. Our Tubeless Rim Tape is also available in 19mm, 21mm and 24mm wide rolls. If you have any questions about this product by VeloFuze Cycling Products, contact us by completing and submitting the form below. If you are looking for a specif part number, please include it with your message. allgoodsdelight365 2 Bike Carrier Platform Hitch Rack Bicycle Rider Mount Sport Fold Receiver 2"